High Jump is a Chicago nonprofit organization that provides tuition-free academic enrichment programs for 7th and 8th graders in Chicago Public Schools. We were hired to produce a fundraising video for their annual gala. Over the course of two days, our video production crew filmed at the University of Chicago Laboratory Schools campus in Chicago. 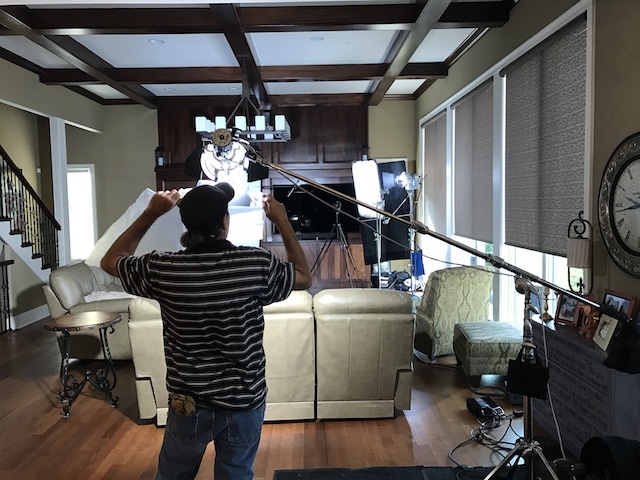 We worked with our client to identify students who could appear on camera and share their stories. Their fundraising goal for this event was $175,000. After the video played, they raised more than 123% of their goal, totaling over $215,816 in donations! To check out some of the other nonprofit fundraising videos we have produced, CLICK HERE. Erin’s Law is named after childhood sexual assault survivor, author, speaker and activist Erin Merryn. If passed in a particular state, Erin’s Law requires that all public schools implement a prevention-oriented child sexual abuse program for students, school personnel and parents/guardians. Erin’s Law is a nonprofit organization based in the Chicago area. However, she travels the world testifying to lawmakers. For this video production, Erin wanted a video that helped tell her personal story. We spoke with Erin about the project on Wednesday afternoon and she needed to film the following Monday. In order to have everything come together in time, we needed to do a lot in a short amount of time! Within a day, we secured a beautiful home in Inverness, IL where we would film Erin’s interview. After a quick creative briefing describing the importance of Erin’s Law, we assembled our crew of six people. Thankfully, Erin has been advocating for childhood sexual abuse for years, so we were able to read articles and watch television appearances to get a better understanding of her personal history, as well as the history of Erin’s Law. The house we were filming in had a spacious living room that was perfect for interviewing Erin. Our Grip, DP (Director of Photography) and Producer worked together to make sure the lighting in frame was perfect. This involved flags (to block out the sun coming in from windows), multiple lights and putting down heavy blankets on the marble floor to eliminate bouncing reflections. Our hair stylist and makeup artist made sure that Erin looked great but still natural on screen. Because we had an understanding of Erin’s story from our research, we knew what to show in her nonprofit branding film to achieve a greater impact. Without that research, we would be discovering during the interview instead of being in a deep conversation with meaningful responses. After an hour-long interview, we set up b-roll scenes that we knew we would need; such as the hallway shot and scene of Erin’s actual childhood diary. We then traveled to an elementary school in Palatine, Illinois where we secured permission to film and captured the playground and classroom scenes that appear in the branding film and PSAs. The following week, we met with Erin and her family at their house to have a fun afternoon shooting b-roll together. During the editing process, we matched Erin’s responses with the plot points we had mapped out before filming. Because we researched and knew the story, we knew exactly where the b-roll scenes would go. After coloring the footage, selecting music, adding sound design and mixing the audio, we delivered the film to Erin. When Erin posted the film on social media and her website, she received a great response. She’s even used it to educate lawmakers! We’re proud that we were able to help Erin tell her story and help her mission to end childhood sexual abuse.